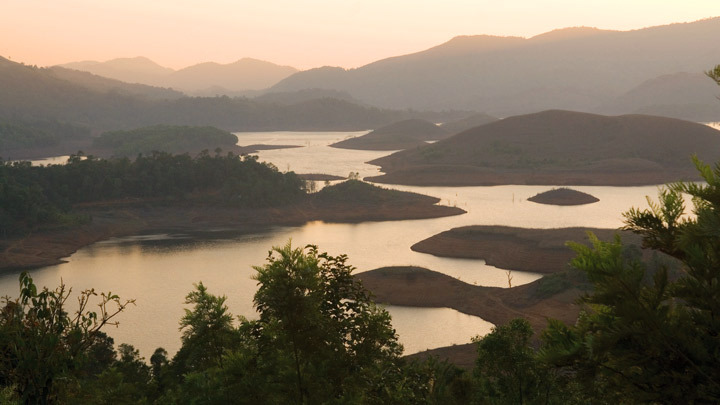 The picturesque Banasura Sagar Dam is the largest earthern dam in India and the second largest in Asia. Located in the midst of lovely, mist-clad hills with a wildlife sanctuary and park full of flowering trees, this spot of enchantment has no parallel elsewhere. With its placid crystal clear waters Banasura is a wonderful picnic spot. There is a mini hydel project here. At Kalpetta, which once used to be the stronghold of the Jains in Kerala, you also have the attraction of historic monuments like the Ananthanathaswami Jain Temple near Puliyarmala. Boating facilities in the dam and trekking trails leading from here draw many outdoor enthusiasts.